Spurred by movements like #neveragain and a growing backlash against gun ownership in the wake of recent events, some localities are taking matters into their own hands. The idea is to protect the interests of lawful, responsible gun owners and preserve our constitutionally protected freedoms. One such development is the creation of gun sanctuaries. Though some backers admit that these resolutions’ legal effects may be minimal, it’s hoped they will draw attention to the rights of gun owners and the problem of government overreach. Gun sanctuaries are built on a similar premise to sanctuary cities, where local legislatures pass resolutions refusing to enforce immigration laws that they consider unconstitutional or that violate the rights of immigrants. Gun sanctuary resolutions apply this same logic to Second Amendment rights and say they will not uphold state laws that infringe on the right to bear arms. The exact language of these resolutions vary by the county. As of now, 30 of the 102 counties in the state of Illinois have adopted gun sanctuary resolutions, with more counties considering it every day. The goal is to halt legislative overreach by the state and send a message to the capital, Springfield, and other large cities like Chicago that they cannot take away people’s Second Amendment rights. They feel knee-jerk, unconstitutional restrictions on gun rights target law-abiding gun owners while doing little to address the problem of violence and its underlying causes. What protections do resolutions provide? The movement to create gun sanctuaries was initiated by the Iroquois County Board to oppose strict gun laws proposed by the Illinois General Assembly. Iroquois County is a predominantly rural area where the 27,000+ residents mainly survive on farming and hunting. HB 1465, which raises the legal age for gun purchases to 21. HB 1467, which would prohibit localities from enacting less restrictive gun laws than the state. HB 1469, which would make it illegal to purchase, deliver, posses, or sell high-capacity magazines. Senate Bill 1657, which would have made it illegal to sell firearms without a state license. This law was vetoed by Governor Rauner. The governor explained his veto by stating that it produced an unfair barrier and financial burden on small business owners. A fifth house bill, HB 1468, was signed into law in July, along with standardization of the 72-hour waiting period for gun delivery to include all firearms. HB 1468 allows courts to remove guns from those it deemed a danger to themselves or others for 72 hours. Many of these proposed state laws would overturn currently legal activities and make law-abiding citizens felons overnight. Part of the problem is a one-size approach that doesn’t take individual circumstances into account. We have seen the government attempt to take this problematic one-size-fits-all approach with other issues too, like domestic violence laws. There is no differentiation between a minor incident and habitually violent behavior. It doesn’t make sense– nuance is required in handling these issues. Communities and people familiar with the situation should be able to decide for themselves, and that’s what these gun sanctuary resolutions attempt to do. Similar resolutions were then passed in Effingham and Monroe Counties, and the movement is spreading to other areas of the state. Although resolutions in each locality vary slightly, they all contain a declaration that local law enforcement and county employees will not be bound to enforce overly aggressive gun-control legislation. The moves have met without some backlash as locals, even gun owners who support the Second Amendment, feel that such resolutions set a dangerous precedent. If local governments can cherry-pick what they consider constitutional or not, what’s to stop others from making the same case for laws that govern other, murkier issues. Some feel that such measures tear at the very fabric of a constitutional democracy. Other opponents fear these resolutions will create chaos and worsen the problem of overreach. In response, counties like Williamson and Madison are letting their constituents decide by adding gun sanctuary resolutions to the ballot in the November general election. How does this work with current State laws? Despite fears of chaos and lawlessness, gun sanctuary resolutions are designed to push back against overzealous lawmakers who many gun owners feel are acting solely to allay unrealistic fears. The Constitution of the United States designates certain powers to state governments, who then decide how or if municipalities may enact them. 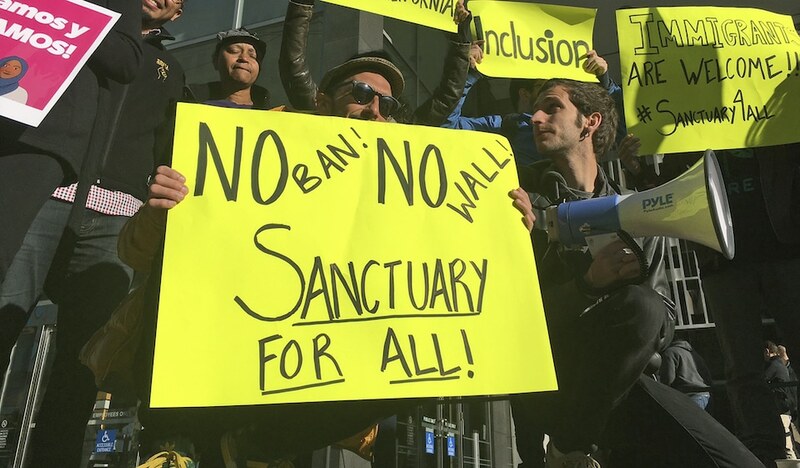 Technically, the idea of sanctuary counties aren’t a violation of state laws or local authority. Backers feel they’re essential to preserving important freedoms granted to U.S. citizens under the Bill of Rights and several constitutional amendments. Many states, including Illinois, have incorporated similar protections to the Second Amendment into their state constitutions. The Supreme Court set a precedent under Printz vs. United States that gives power to localities regarding enactment of state or federal gun restrictions. Could this be a model for other States? When the rubber band stretches too far in one direction, it’s inevitable that the tension will cause it to rebound hard back toward the other. The post-Parkland movement began as a group of survivors voicing concerns. Unfortunately, it was usurped by other interests with a bigger and more odious end-game that includes influencing state and local elections and demonizing gun rights advocates. The Journal News even went so far as to post a Google map pinpointing the private addresses of legal gun owners in Upstate, New York. Such practices endanger private citizens and infringe on the rights of legal gun owners who have caused no harm to anyone. It has also led to the creation of the gun sanctuary county movement which has spread beyond Illinois to rural areas around the country. Ten counties in Oregon are crafting gun sanctuary resolution in time for November voting, and emissaries from California, Colorado, Utah, and Washington state have contacted organizers in Illinois about adopting similar measures in their communities. The growing anti-gun movement in the wake of yet another tragedy is understandable, but the proposed solutions do nothing to address essential social issues that contribute to such tragedies. They also disproportionately hurt those who need personal protection the most, including low to middle income families, minorities, and women. Fear mongering, shaming, and heavy-handed legislation leads to panic buying, weapons hoarding, and price gouging that doesn’t affect criminals or the wealthy, and it does nothing to prevent school shootings or societal ills. Arkansas is a Illinois free state, so if your from Illinois do come to or go through our state or suffer the consequences. I have to laugh when you bring up a constitutional democracy, WE DON’T LIVE IN A DEMOCRACY, I wish people all across the spectrum would realize and LEARN that we live in a Republic governed by a Constitution! It just disgust me to think that you who write this publication think we live in a democracy! If you want a real democracy move to Russia or Cuba, but get out of this country if you don’t know that we are a REPUBLIC and always have been! I guess for all the young people in the USA that write for this publication, you quit saying the Pledge of Allegiance, because the use of the word GOD offended Atheist and Muslims, then you lost sight of the fact the sentence that says “and to the REPUBLIC for which it stands one nation under God with liberty and justice for all”, that is too bad that most of the idiots in this country don’t realize we don’t live in a democracy……so sad! John the unconstitutional use of the word “God” with the phrase was forced onto the public due to the Communist scare of the 50’s and our pledge of allegiance was damaged by adding such nonsense as religion was the reason people left Europe to found this country. When I recite it I leave that out since it’s not part of the original pledge and it is just wrong. “God” is a reference to Christianity and I’m not going to endorse any one religion over another in a country where freedom of and FROM religion has been a cornerstone of the foundation. If you do not like dealing with these facts then leave the country and be civil about it. Yes, we have a republic run by democratic architecture as well as a republic. However this was not used for all states within the Union before all states joined together. Our government’s infrastructure supports democratic rule in a free republic. When reading our constitution perhaps you missed that part as the document is not updated and can be interpreted incorrectly as you have. Russia, Cuba and Muslim countries do not have a similar setup and can’t be considered adequate for you to claim them as a “democracy”. Cuba is communist. Putin has overthrown the government and elections are banned for his position specifically so it’s not a democracy. Muslim countries are run by the theocratic leaders who use antiquated religious texts, interpreted so they receive the most benefit, in order to rule a country and oppress women through Sharia Law in a very similar way that Christians in this country continue to do under the guise of false concern for “women’s safety”.